Specimen of Thyreoxenus brevitibialis, photographed by Taro Eldredge. Staphylinids are one of the most diverse groups of beetles out there, despite not looking like what most people would identify as beetles. 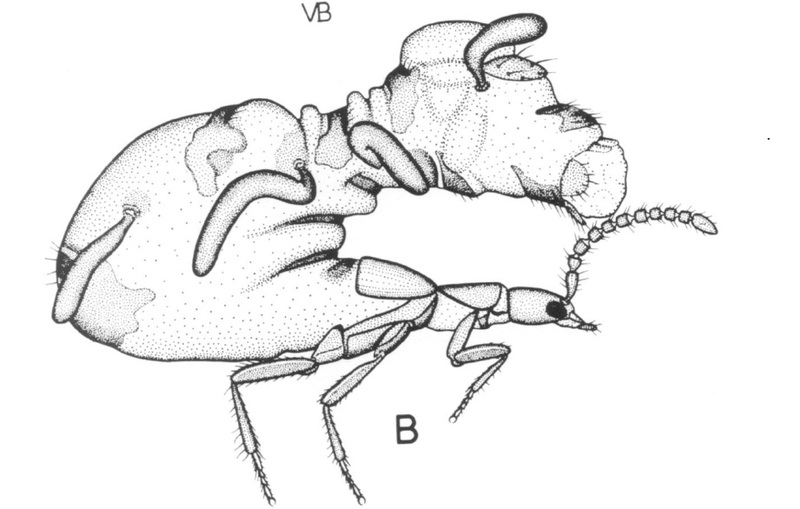 But that's okay, because there are staphylinids that don't look much like what most people would identify as staphylinids, like the beautiful beasty in the photo above. 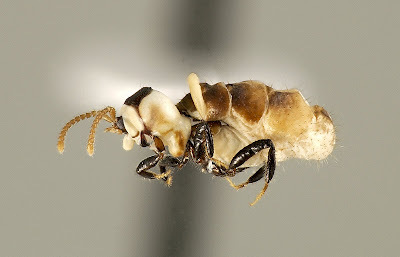 Thyreoxenus brevitibialis is a member of the staphylinid tribe Corotocini, a distinctive grouping of termite inquilines. Inquilines are animals that live in association with social insects such as ants, bees or termites. A number of staphylinid lineages have adopted the inquiline lifestyle; another group of termite inquilines, the Termitusina, was briefly covered in an earlier post. The Corotocini are the largest group of termite-inquiline staphylinids, living in association with termites of the pantropical subfamily Nasutitermitinae. Distinguishing features of the corotocins include fusion of the mentum and submentum (two plates on the underside of the head) and distinctive sensilla on the antennae (Seevers 1957). Most notable, however, is that all members of the Corotocini show some degree of physogastry, swelling of the abdomen*. In most species, the greatly inflated abdomen is recurved and held upwards, often overtopping the front part of the body (exceptions are in the subtribe Timeparthenina, in which the swelling is concentrated towards the front of the abdomen and hence it cannot be recurved). They also have relatively long legs for staphylinids, though this may be correlated with supporting their enlarged abdomens. Corotocins appear to make their living by imitating the nymphs of the termites they live amongst, and being fed and looked after by the adult termites. *The development of the physogastric abdomen is something that may be worthy of attention. Stenogastric individuals (without swollen abdomens) have been identified for some corotocin species; for Thyreoxenus major, a series of specimens was identified by Seevers (1957) that he felt indicated that adults initially emerged as stenogastric, then developed physogastry over time. However, physogastric and stenogastric individuals differ not only in the size of the abdomen, but also in the shape and proportions of leg segments. This could be a problem, because insect growth generally doesn't work that way. 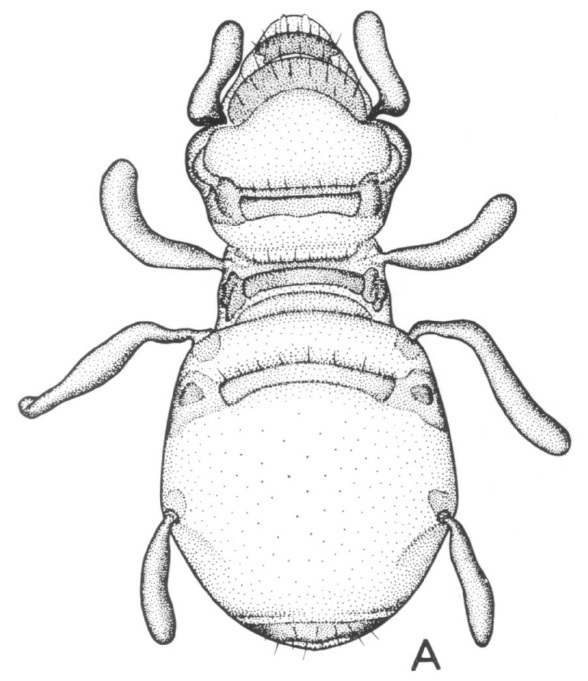 Line drawing of Timeparthenus, showing the non-reflexed abdomen. Note also how the elytra have been pushed forward above the pronotum. From Seevers (1957). Lateral view of Coatonachthodes ovambolandicus, from Kistner (1968). Dorsal view of Coatonachthodes ovambolandicus, from Kirstner (1968). The appendages, together with strategically placed abdominal constrictions, may turn the beetle's abdomen into a tactile facsimile of one of the termites themselves! So close was the mimicry, Kistner felt, that he used differences between the abdomens of Coatonachthodes ovambolandicus and another corotocin, Spirachthodes madecassus, to predict morphological differences between their respective hosts. 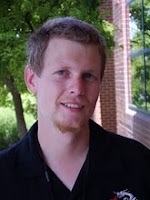 Kistner's predictions were later tested by Sands & Lamb (1975), who showed that Kistner had been both wrong and right. 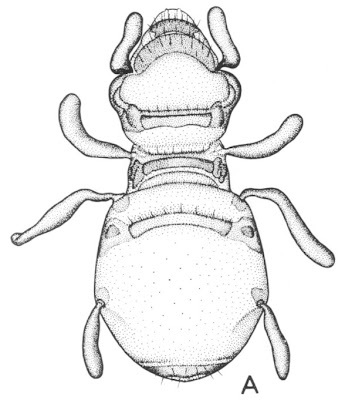 Workers of the host species of S. madecassus, Kaudernitermes kaudernianus, did not possess the features predicted by Kistner. However, the second-instar nymphs did! 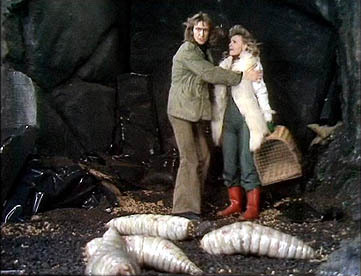 Sands and Lamb refined the mimicry hypothesis to suggest that it was the nymphs, not the workers, that the beetles were imitating. An interesting corollary of this refinement is that very young termite nymphs apparently do not yet exhibit the chemical characteristics of their home colony, so a first- or second-instar-imitating beetle would not necessarily have to mimic the host chemistry itself. 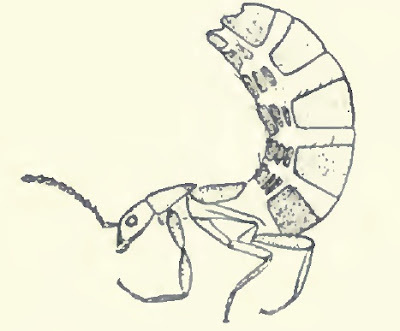 Termitophya emersoni, a less morphogically specialised corotocin, from Seevers (1957). For those Corotocini without the abdominal appendages of the Corotocina, of course, the chemical mimicry hypothesis perhaps remains the most likely. It is worth noting, too, that tactile and chemical mimicry are not mutually exclusive. Tactile mimicry is also not exclusive of a third suggested function for the abdominal appendages, that they may function as decoys if one of the host termites was to attack the beetle, in the same way that some lizards drop their tails. Whatever the explanation, there can be no doubt that these are truly remarkable beasts. Howard, R. W., C. A. McDaniel & G. J. Blomquist. 1982. Chemical mimicry as an integrating mechanism for three termitophiles associated with Reticulitermes virginicus (Banks). Psyche 89: 157-168. Kistner, D. H. 1968. 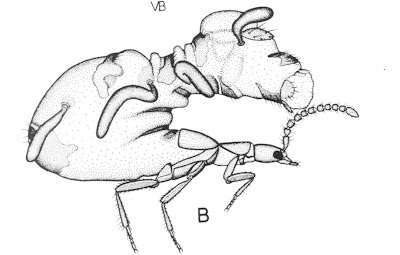 Revision of the African species of the termitophilous tribe Corotocini (Coleoptera: Staphylinidae). I. A new genus and species from Ovamboland and its zoogeographic significance. Journal of the New York Entomological Society 76 (3): 213-221. Sands, W. A., & R. W. Lamb. 1975. The systematic position of Kaudernitermes gen.n. (Isoptera: Termitidae, Nasutitermitinae) and its relevance to host relationships of termitophilous staphylinid beetles. J. Ent. (B) 44 (2): 189-200. Ooops, typed faster than my eyes. I meant Coatonachthodes ovambolandicus. Sooo... how do they mate? It looks salacious. I don't think that mating has ever been observed, but it does have the potential to be interesting. Because the genitalia are at the end of the recurved abdomen, the beetles would have to be standing face to face. Apparently the 'pseudocaput' (the 'false head') is somewhat mobile, and the paper where I learnt that (I've forgotten which one, sorry) suggested that that could be important for mating. On the other hand, if the abdomen is supposed to be a mimic, then being able to move the 'head' would also support the mimicry.